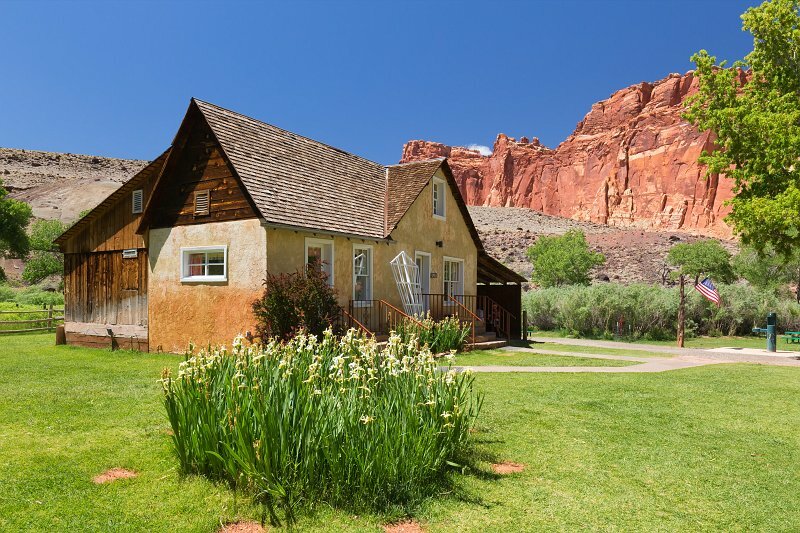 The original home was built in 1908 by polygamist Calvin Pendleton. He and his family occupied it for eight years. The original house had a combined front room/kitchen and two small bedrooms. An outside ladder accessed two upstairs bedrooms. Pendleton also constructed the barn and smokehouse, as well as the rock walls near the house and on the mesa slopes above it. The second residents of the home were the Jorgen Jorgenson family who resided here from 1916 to 1928. Jorgenson sold the homestead to his son-in-law, Dewey Gifford, in 1928.